Miraculous: Tales of Ladybug & Cat Noir "It's Ladybug" is available today (April 4th) for purchase in Canada (April 11th in the US). I have a copy available to giveaway - so one of my readers can WIN a DVD for their family! Use the form below to enter. Open to Canadians that are 18+. 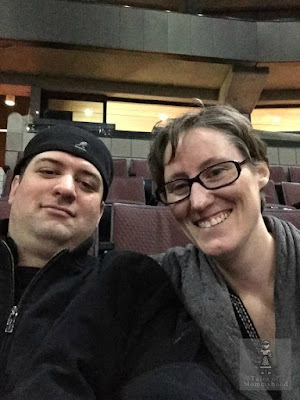 "Los Angeles, California – The most Miraculous adventures of Ladybug and Cat Noir continue! Paris’ favorite crime-fighting duo return in a new volume of the action-adventure, romantic comedy that will have you on the edge of your seat. When Paris is threatened by super villains, two amazing heroes are our only hope: Ladybug and Cat Noir! With the help of their magical kwamis, this incredible duo team up to outwit the forces of evil… but their biggest challenge might be getting through school. In their normal lives, Marinette and Adrien are just a pair of young students, but in reality, this terrific twosome must juggle schoolwork, friends, family and growing up in a world where every day is a high-flying adventure! A top TV show, Miraculous™ is quickly becoming a worldwide phenomenon"
Never saw a show from Ladybug and Cat Noir but it sounds like a cool show. I call my daughter ladybug so she would love it! My kids love this show! We don't have a DVD, they watch it on TV. I have seen Ladybug and Cat Noir on DVD. 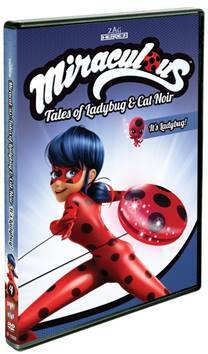 Have you seen any of the other Ladybug & Cat Noir DVDs? We have yet to watch this show although it sounds like one my kids would enjoy. Yes, my grandson got one for his birthday! I have not yet seen any of the other Ladybug & Cat Noir DVD's. I have watched this show with my niece and she loves it. My kids have watched this before but I haven't! Would love to watch with them. No, I have not seen them yet. Looking forward to it! Yes I have seen one and it was good. I haven't seen any of these-but the kids I babysit would love to watch this I'm sure. I have never seen these dvd's but they look awesome. I know my kids would love them!